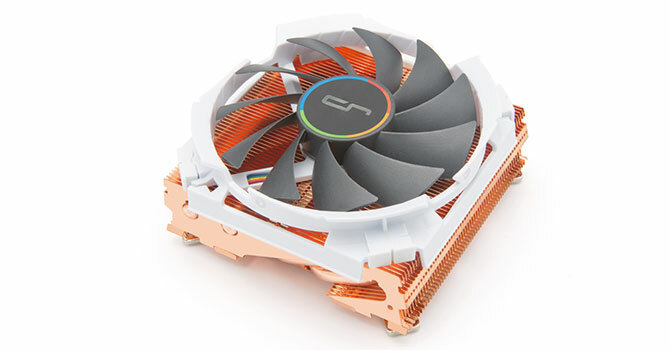 If you haven't heard of CRYORIG at this point, you have likely been living under a rock. Now a mainstay in the PC-cooling market, they have released an extensive lineup of air and liquid CPU coolers and fans. They have quickly made a name for themselves since their founding back in 2013. Since then, they have rapidly expanded, becoming a relative favorite among enthusiasts the world over. It doesn't hurt that their desire to improve and a penchant for high quality have served them extremely well, and I am sure the solid warranties don't hurt either. 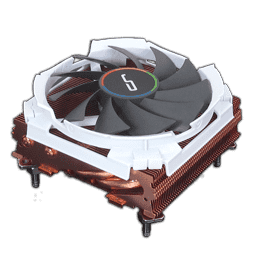 In today's review, I look at CRYORIG's solid copper C7 Cu. This low-profile, small form factor cooler sheds the aluminium fins of its sibling for the increased thermal conductivity copper provides. With the switch in materials comes a drastic increase in weight with the C7 Cu coming in at 675 g with the fan. That is a hefty 318 g heavier than the original C7 and is similar to what regular single fan tower coolers typically weigh. Offering a no-interference design with a height of just 47 mm, It will certainly prove to be an interesting option for those planning even the smallest of SFF systems. That said, before going any further, let's take a closer look at the specifications before torturing this tiny cooler on the test bench.